Michelle Manu is known and respected for her fighting skills and work as a TV host, MMA fight commentator, fight actress, and film/TV narrator. She selectively books various teaching, speaking, modeling, film, television, theatre, print and radio projects. Michelle has graced the pages of various print and digital newspapers and magazine such as Inside Kung Fu, Sports Illustrated, Martial Arts Masters Magazine, Seni Beladiri (Malaysia), Tae Kwon Do Times (Korea), USAdojo.com, KenpoGirl, Herstory, Martial Arts Illustrated UK, and Europe’s Warrior Magazine. She is a Masters Hall of Fame inductee (2006), World Black Belt named her Martial Artist of the Month (2002), Argentina Martial Arts Hall of Fame inductee (2016), Munich Hall of Honours inductee (2017), Gathering of Eagles Kenpo International Hall of Fame (2017). Michelle has worked as a live ringside fight color commentator, host of the Masters Hall of Fame World News, host/producer of Silk Warrior TV, InfluentialTV, Heroes’ Hearts, and as a contributing author to several literary and documentary works. Michelle Manu doubles She-Hulk in the not for profit fan production of the cult classic, Shamelessly She-Hulk. Michelle comes in at the 2:43 minute mark. 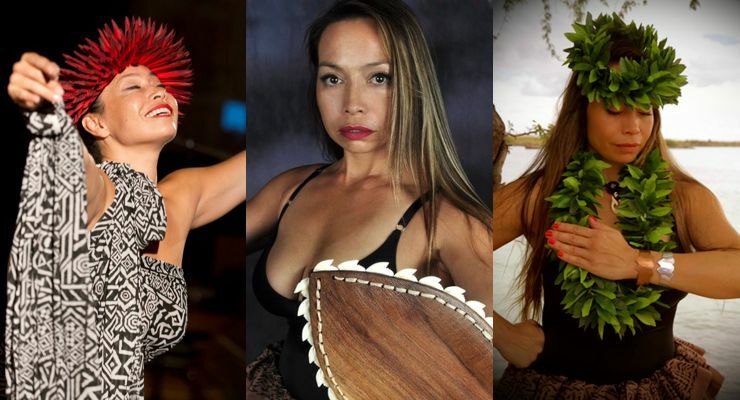 Michelle Manu began studying hula at the age of 3 and martial arts at 9. She is a first generation Senior Black Belt under Olohe Solomon Kaihewalu, and the only woman instructor. She was also given the designation of Knight Commander by the Royal Order of Kamehameha I; the first woman in history to be knighted for her work in promoting, perpetuating, and preserving the Hawaiian combat art, Lua. She has been a competitive athlete, professional Polynesian dancer, and a model. Michelle is a relentless advocate, instructor, and author of women’s self-awareness and defense. She was a director for America in Defense (AID) where she led and taught pilots and flight attendants air cabin crew safety (close-quarter combat) as a result of September 11, 2001. Michelle also instructs self-awareness and defense for colleges, community programs, homeless shelters, and internationally through her Super Hero Experience (SHE) Program.